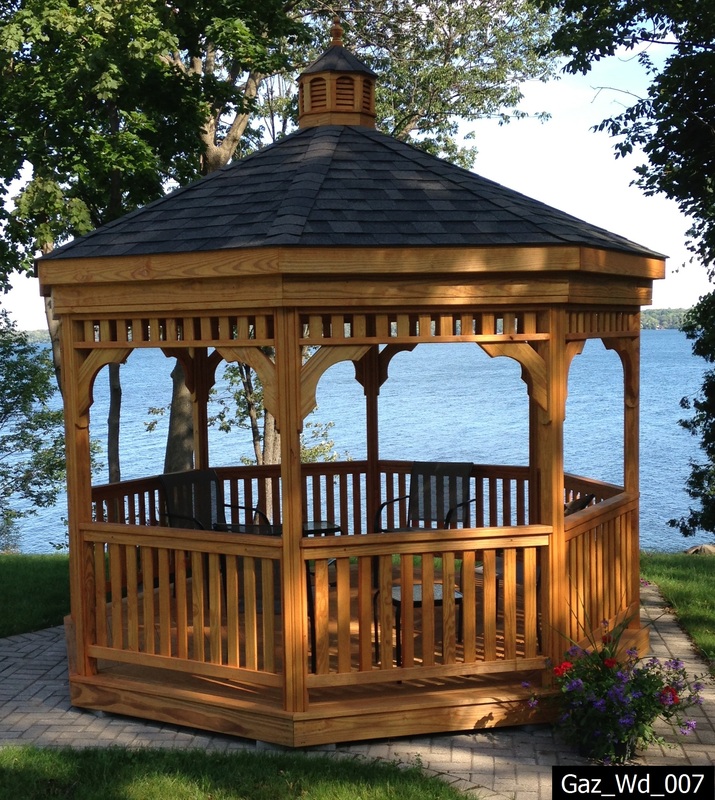 Make your gazebo the centrepiece of your yard and the meeting place for family and friends. 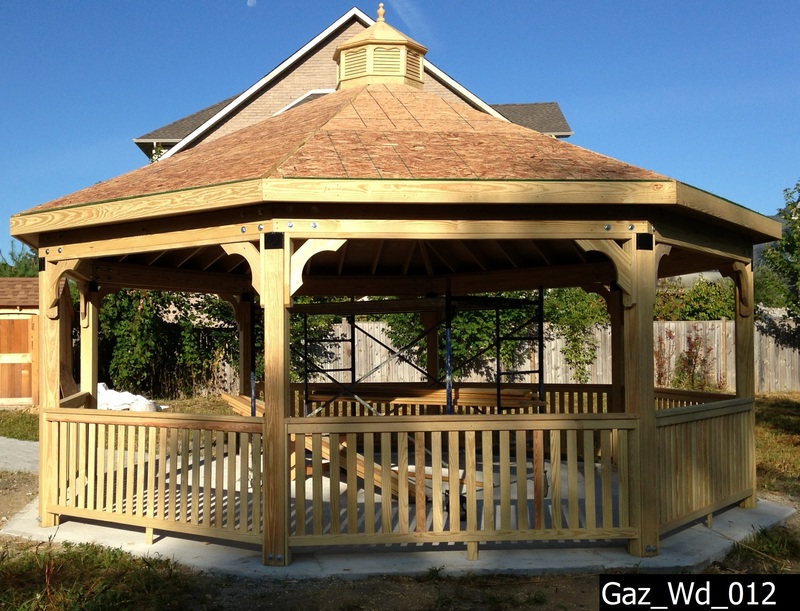 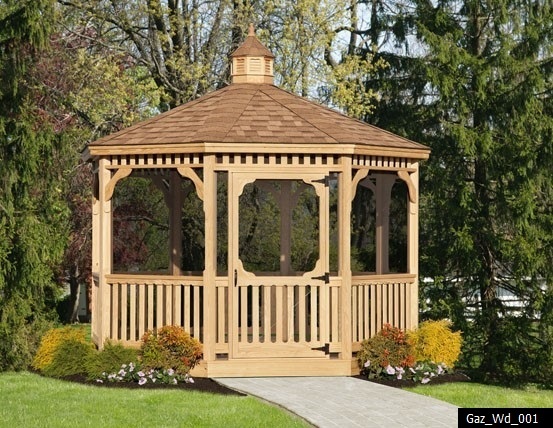 A gazebo is a great way to provide shade and privacy to your yard. 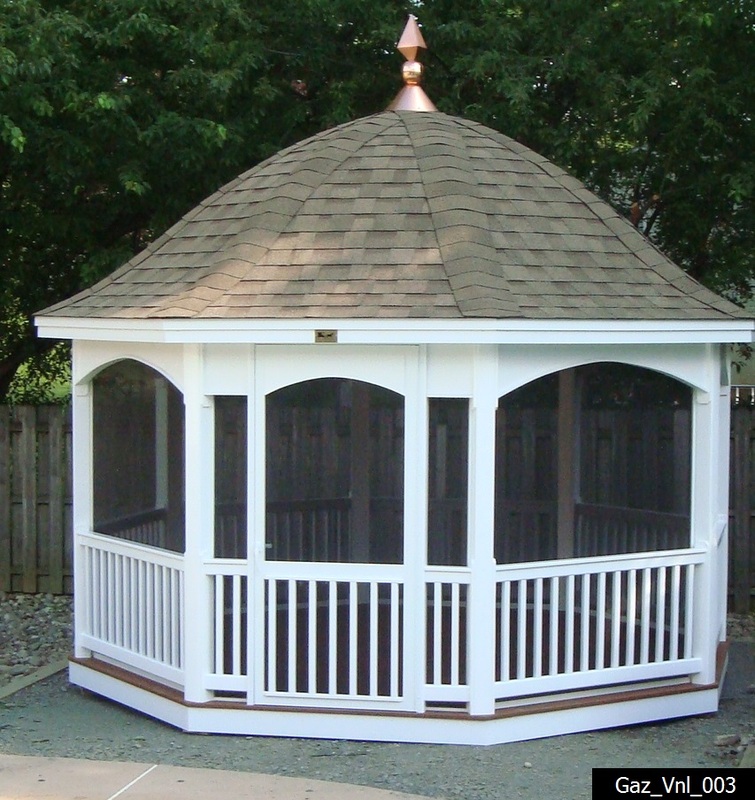 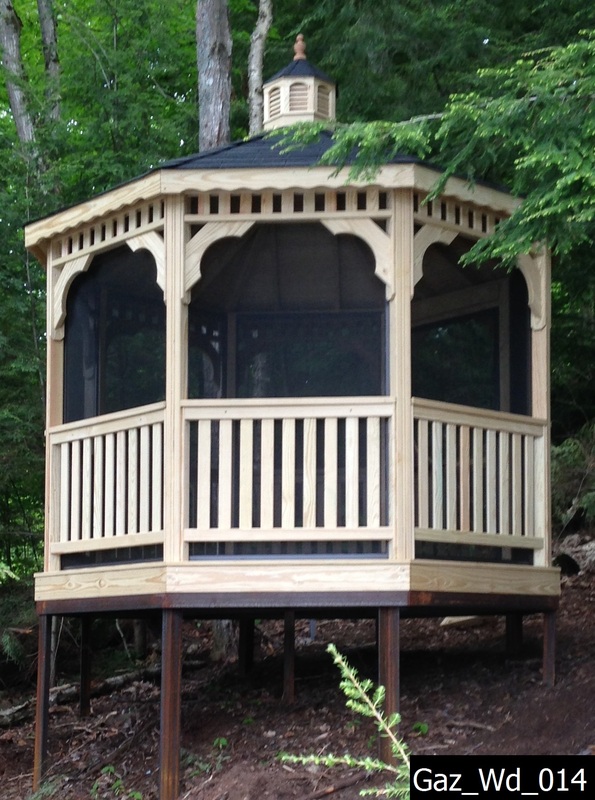 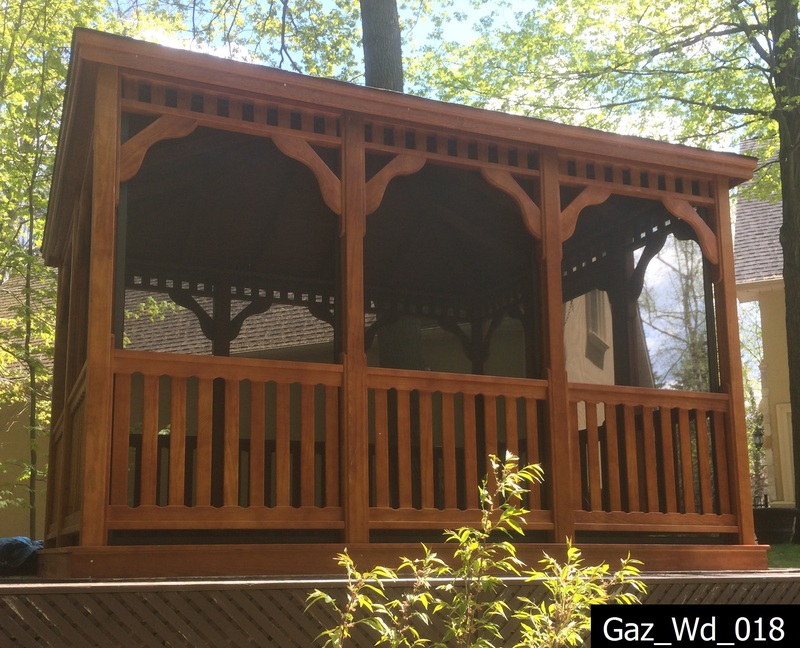 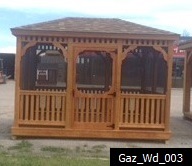 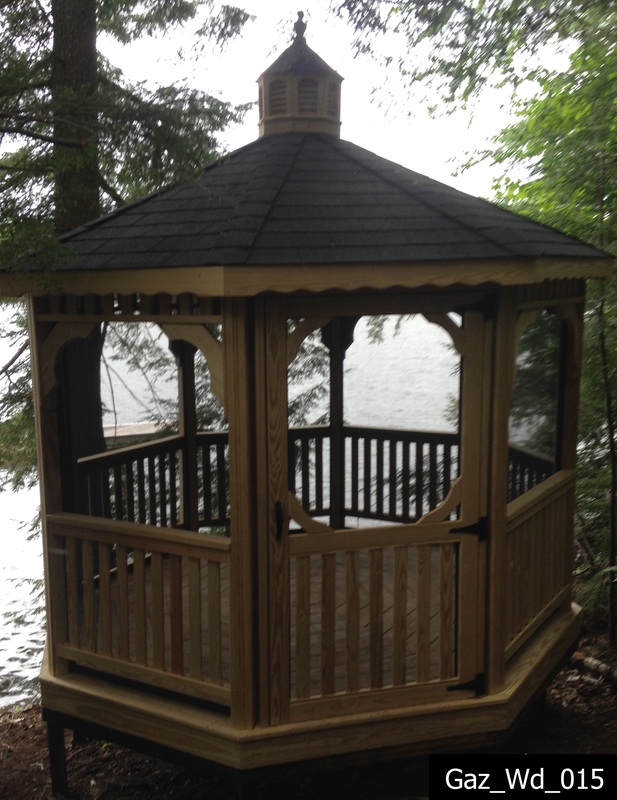 We offer pressure treated pine, cedar and vinyl options for our gazebos. 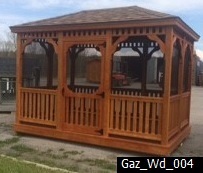 Our Pressure Treated Pine gazebos have a beautiful grain pattern and maximum strength and durability, Red Cedar gazebos which have a unique scent and natural beauty, and maintenance free vinyl gazebo, which requires no stain, paint or seal in a variety of shapes and sizes to suit your needs. 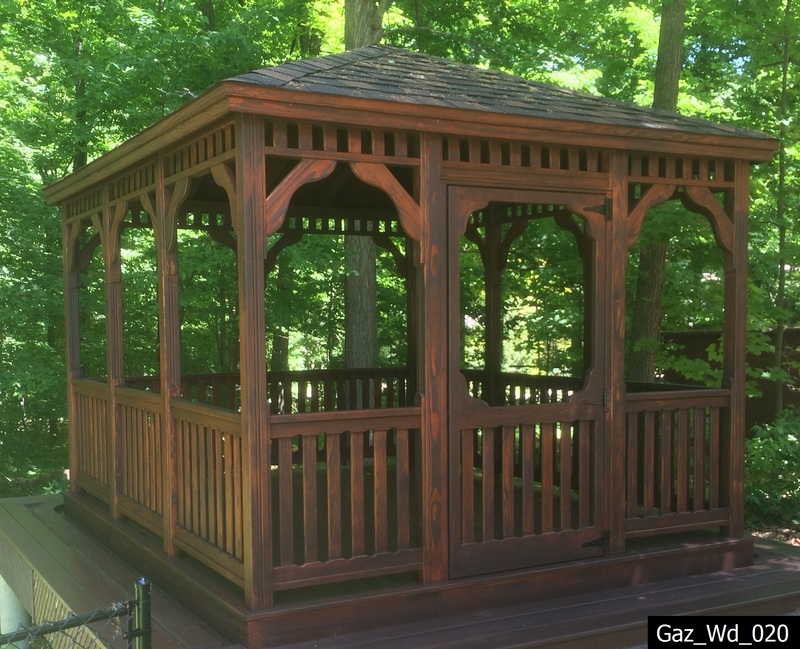 Why choose us for your gazebo? 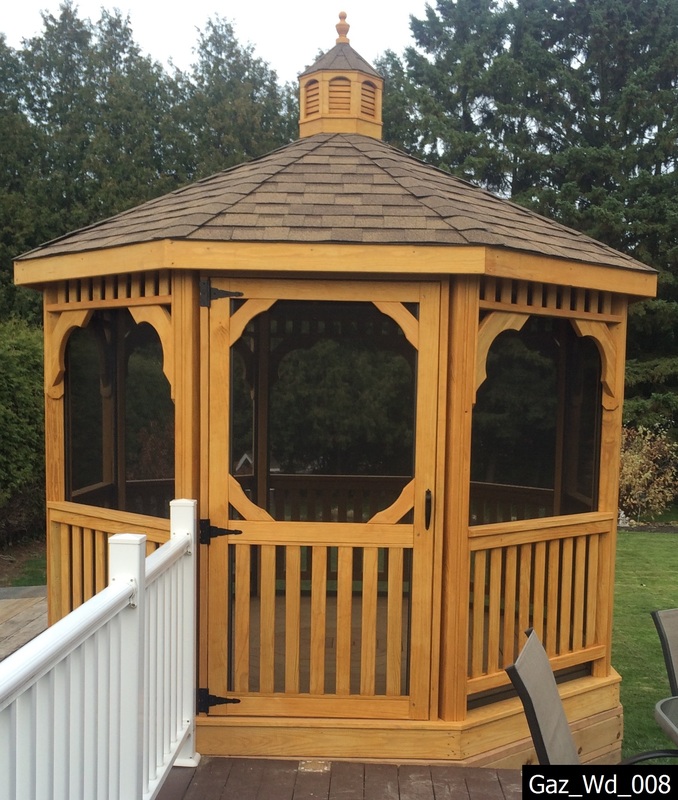 We offer consistent quality. 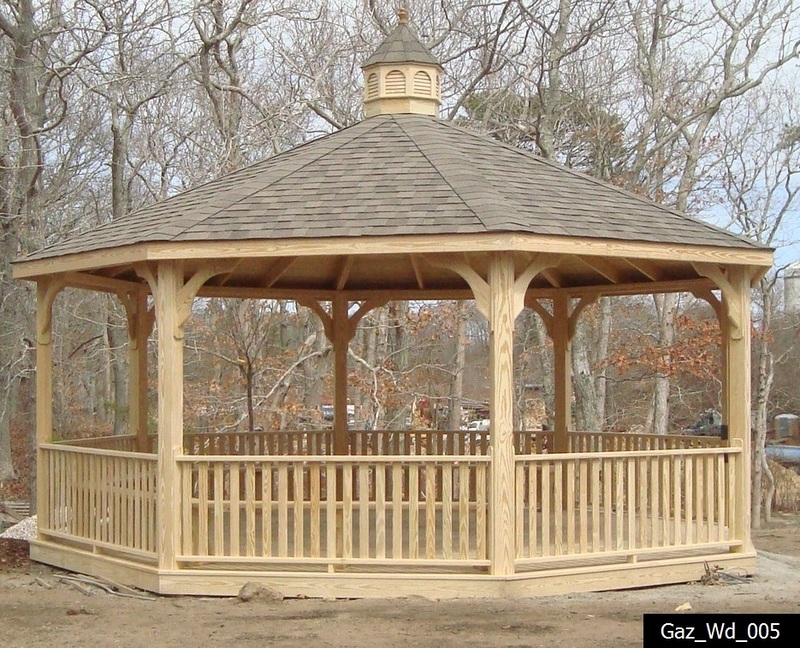 Every Gazebo is carefully inspected to ensure that it passes our high standards of quality. 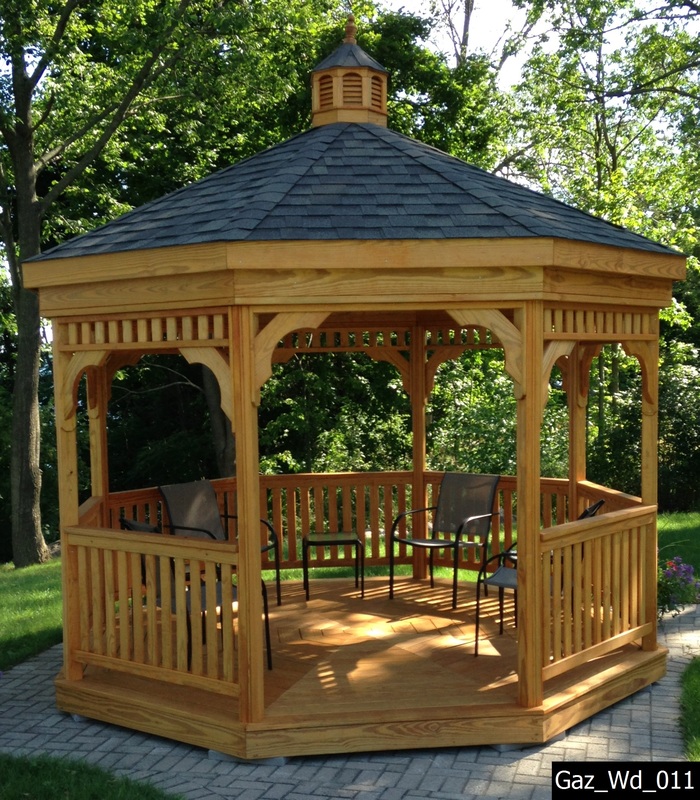 We use hand selected, clear grade, pressure treated lumber. 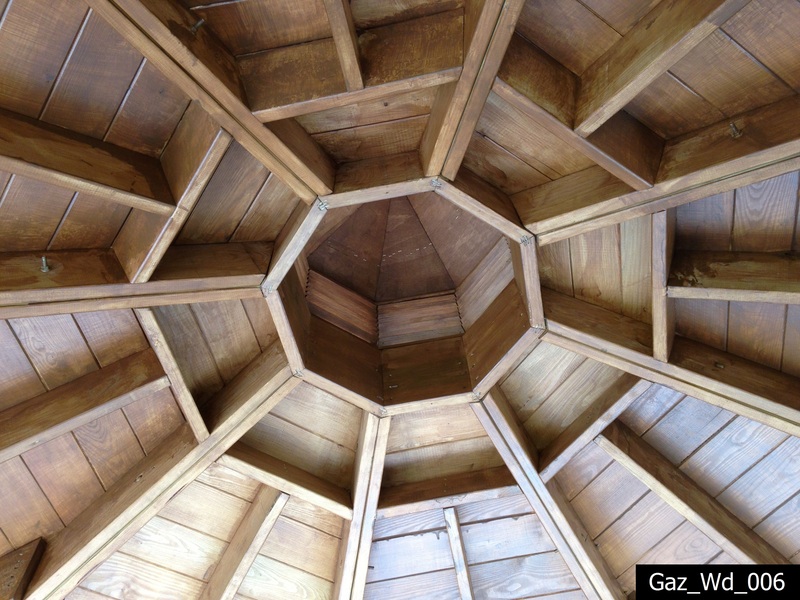 We find that it´s superior to #1 grade, which has more knots. 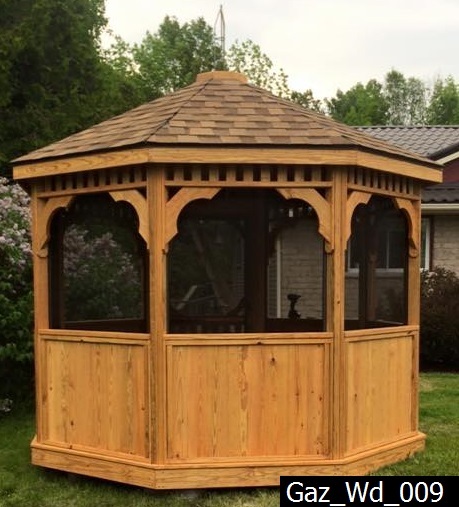 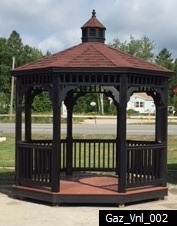 Quality Wood- Every gazebo starts with hand selected, clear grade, pressure treated lumber that is milled on all four sides, sanded smooth and prepared for stain or paint. 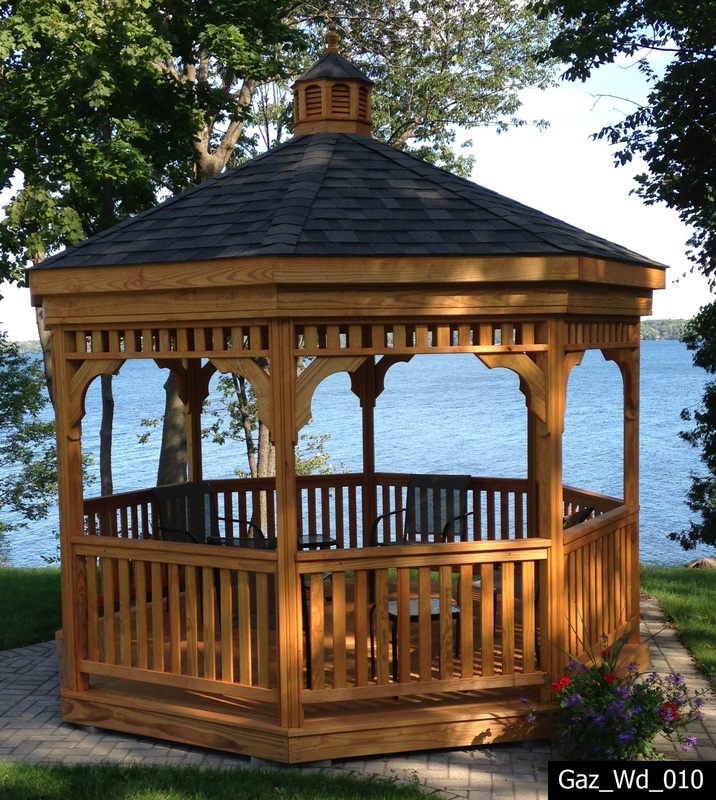 Mitered Corners – The corner trim pieces on our gazebos are carefully mitered for a perfect fit every time. 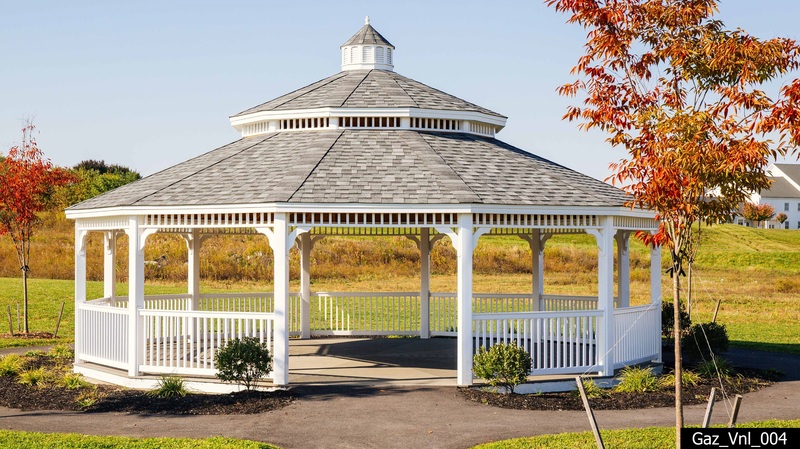 Longer Posts – Enjoy an enhanced standing view with longer posts and matching top rails all around for an eye-pleasing, uniform appearance you’ll love. 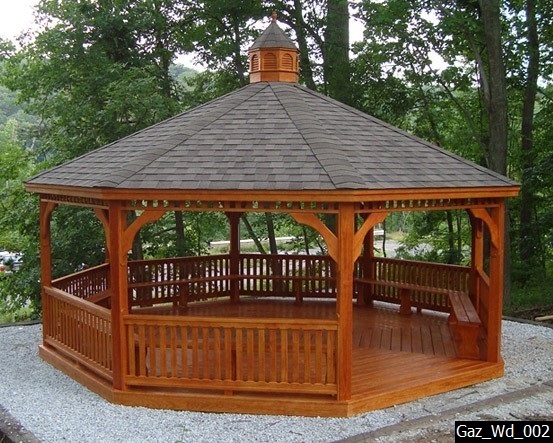 Solid Flooring – The added strength and durability of our gazebos is perfect for large hot tubs. 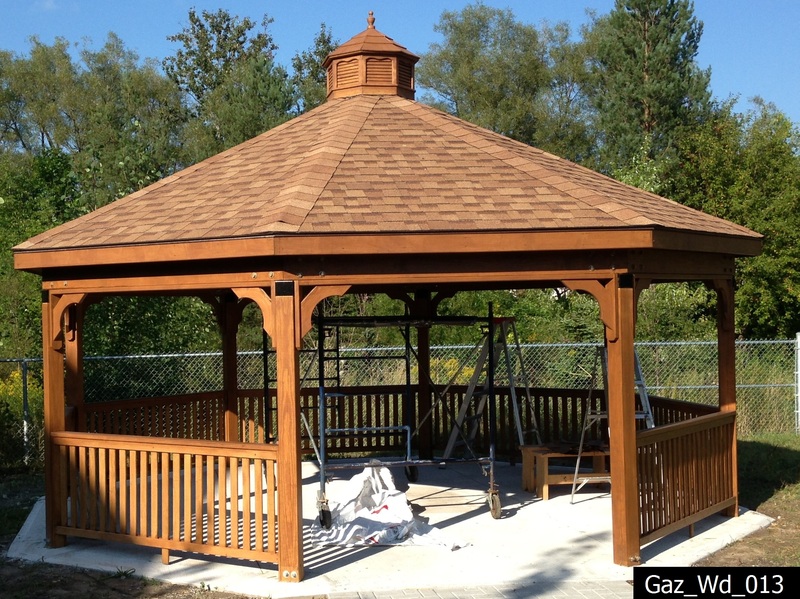 Stainless Steel Screws – our gazebos are built with stainless steel screws and hot dipped galvanized fasteners. 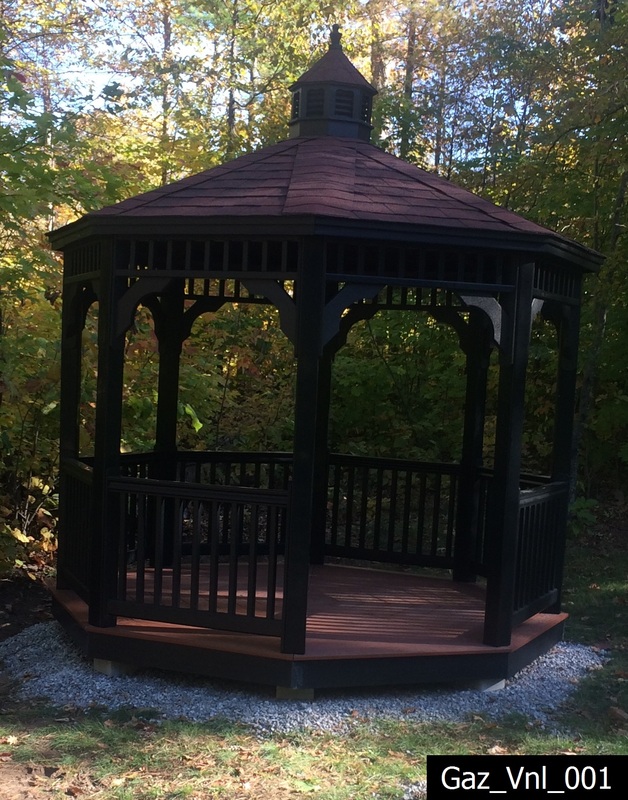 Superior Vinyl Materials- All the main structure components of our vinyl gazebos are outdoor treated wood, encased with high quality premium vinyl that will hold its smooth texture and strength for years. 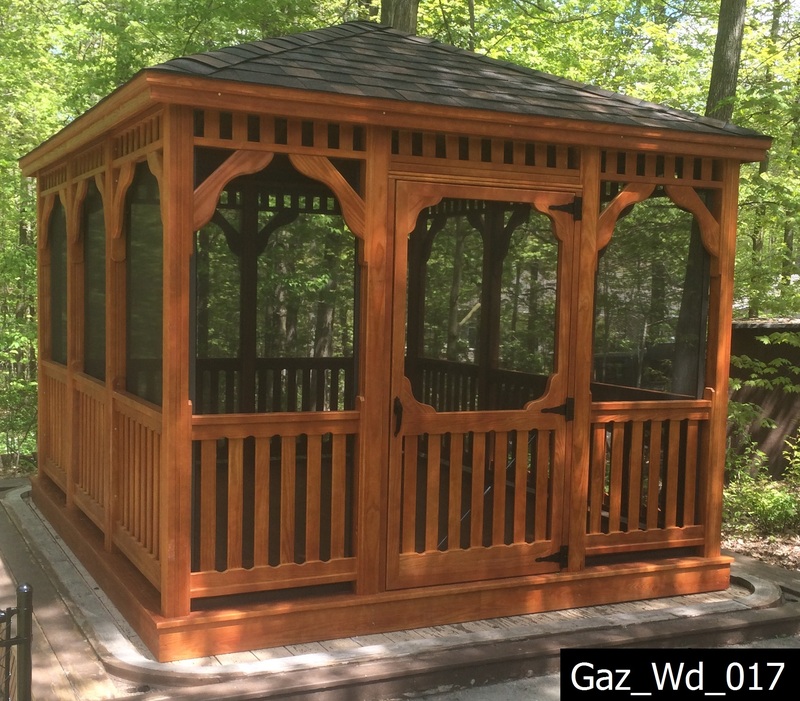 All our gazebos are delivered in convenient, easy to assemble bundled kits which include instructions for the person who chooses to complete the gazebo installation. 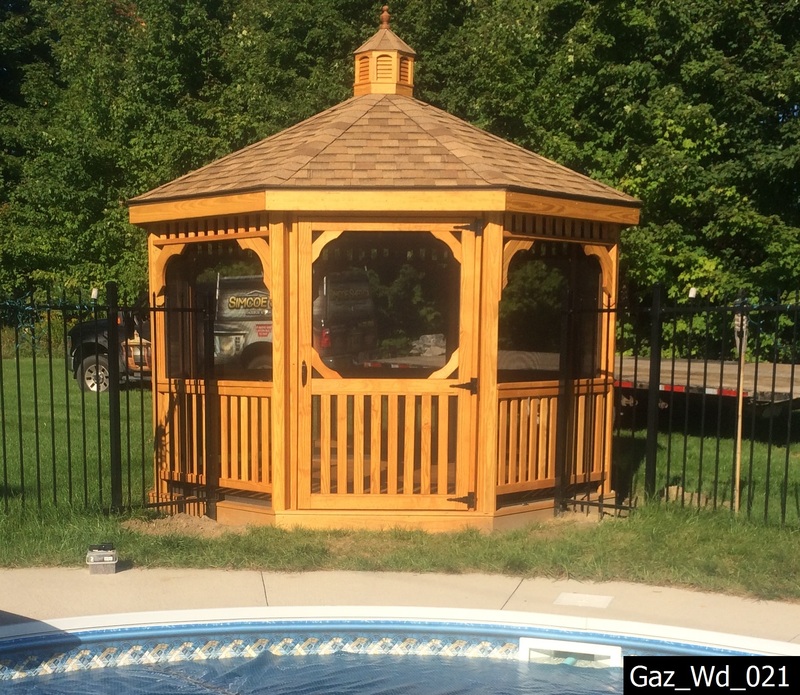 For those looking to have their gazebo installed for them, Simcoe Shed Inc. is available to install your dream gazebo on-site. 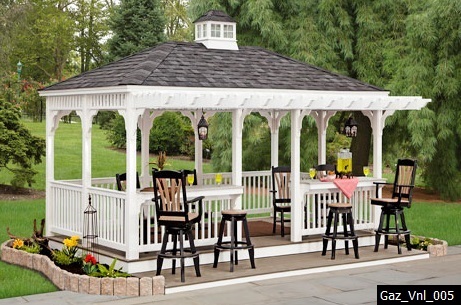 Want to enjoy the outdoors, but don’t like the bugs? 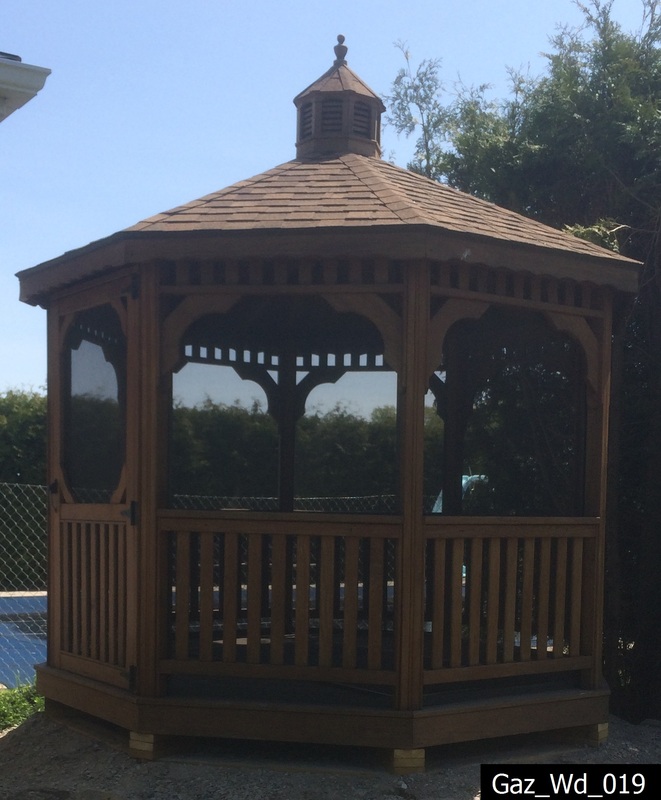 We also offer screen kits to keep the bugs away, helping you to enjoy your time outdoors without the hassle of the bugs.